“It is a delight and an honor to finally share the stage, and the music, with Gregg Allman, Derek Trucks, Warren Haynes and The Allman Brothers Band,” says Carlos Santana. “This is something that we’ve hoped to make happen for many years.” These special concerts follow the first leg of U.S. dates on Santana’s Shape Shifter Tour 2012. 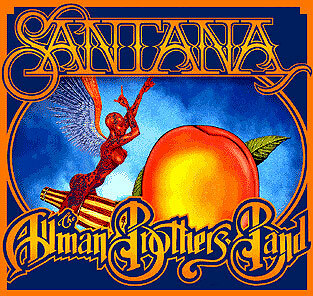 Previously, Santana and The Allman Brothers have only intersected at major festivals. On touring together, Gregg Allman says, “We’ve all looked forward to doing this for a very long time.” The Allman Brothers Band line-up includes Gregg Allman (vocals and keyboards), Butch Trucks (drums, tympani), Jaimoe (drums), Warren Haynes (vocals, lead and slide guitar), Derek Trucks (slide and lead guitar), Oteil Burbridge (bass), and Marc Quinones (congas and percussion). Earlier this year, the group was honored with a special GRAMMY Lifetime Achievement Award.